Framed Painting measuring 16x20. This is a landscape painting of a home next to a creekside, surrounded by trees and a big cloudy sky. It was purchased for $500 in 2004 from a local art dealer in Santa Ana, California. 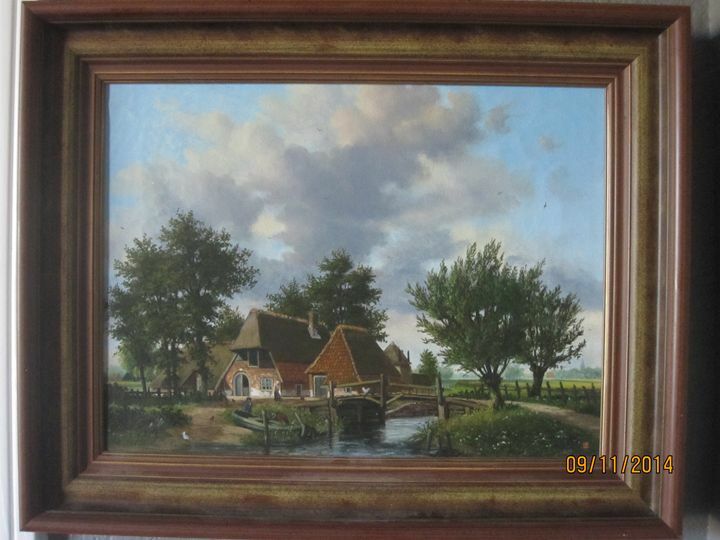 Framed Painting measuring 16x20. This is a landscape painting of a home next to a creekside, surrounded by trees and a big cloudy sky. It was purchased in 2004 from a local art dealer in Santa Ana, California.